This page will be edited shortly to present an overview of past and current projects. Project Solaris is a joint initiative of Sunchem SA and SkyNRG, the world’s market leader for bio jet fuel. Project solaris is supported actively by South African Airways and Boeing. On the 8th of December 2014, the partners officially launched the project in Marble Hall (SA), with the aim to roll out Solaris in Southern Africa at large scale to lay the basis for (local) sustainable jet fuel production. Over the past few years, there has been a rapid increase in demand for sustainable biomass and bio-energy resources, globally but also in South Africa. Energy tobacco “Solaris”, can be grown very sustainably, and yields significant amounts of vegetable oil, press cake (i.e. cattle feed) and both woody and green biomass. As such, the crop provides an opportunity to grow sustainable bio-energy resources, while stimulating socio-economic development in South Africa. The combination of available land (partly caused by the decreasing local conventional tobacco industry), a need for employment, the increased demand for sustainable bio-energy, and good (regional) knowledge on growing tobacco, provides an excellent opportunity to grow energy tobacco in South Africa. 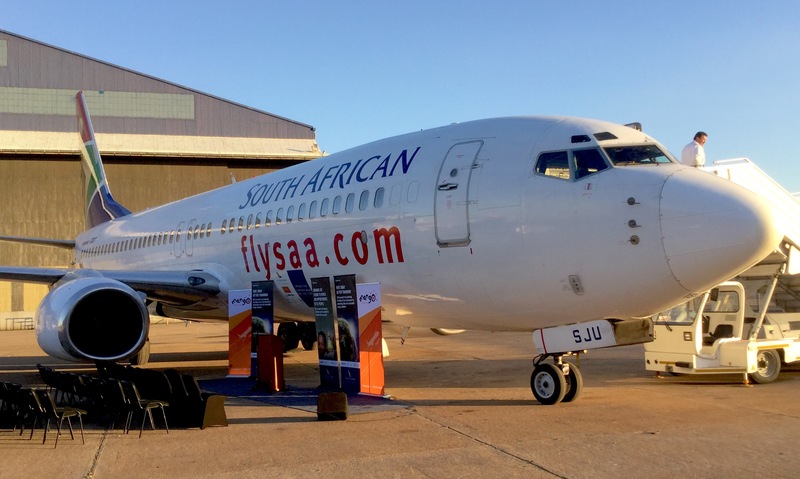 On the 15th of July 2016 Africa’s first biofuel flight took to the skies when a Boeing 737 from South African Airways took off from Johannesburg heading for Cape Town. The biojetfuel was based on Solaris oil and refined by partner SkyNRG. Project Solaris was partly funded by RVO from The Netherlands. Being awarded a grant under the H2020 SME instrument will allow Sunchem to become a European player in the field of commercial sustainable feedstock production. By receiving this grant Sunchem can commercialize its commercial scale operation in Europe. Sunchem has always worked on the forefront of innovation and renewable energy and is proud to call the EU, and specifically the H2020 SME- instrument our partner ensuring progress towards truly sustainable feedstock for an airline industry ready for the future.